One of my favorite things about Etsy is the ability to create "Treasury Lists" where you compile all of your favorite things by theme. 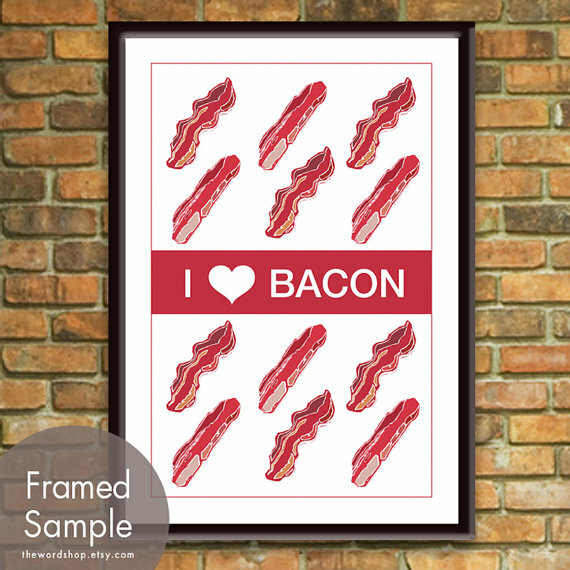 I created my first the other day for the kitchen and found some really amazing things including a bacon poster! How cute would that be in a kitchen?! 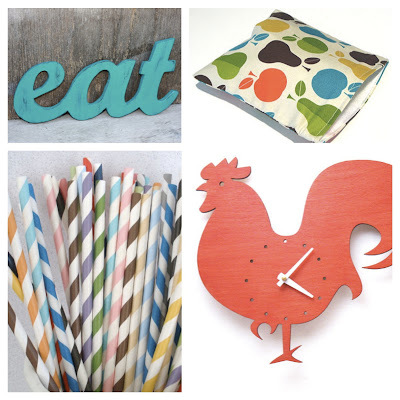 Well, it may not be for all...but I tend to like quirky items, especially in my kitchen. Here are a few other items in my list including an eat sign, reusable sandwich bags, paper straws and a rooster clock, check out the full list and purchase information here.